You've Lost That Lovin' Feeling – the most played song in radio history, Just Once, Here You Come Again, On Broadway, Somewhere Out There, Don't Know Much, He's So Shy, Never Gonna Let You Go, We Gotta Get Out Of This Place… the words to these familiar enduring favorites were all written by one legendary lyricist, Cynthia Weil. In the ever-changing music industry, it is a rare feat for a writer to achieve and maintain staying power. 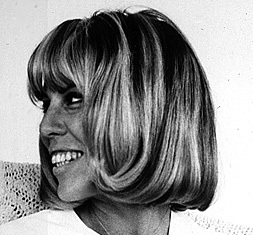 Cynthia Weil, together with her husband, composer Barry Mann, is one of the outstanding creators of American popular music – crafting countless hits and some of the most influential and beloved pop songs in a career that has spanned four decades. With an undeniable knack for keeping in tune with the changing times, Weil is truly a music business phenomenon. Breaking ground in the early sixties, she was one of the first women in Rock and Roll – beginning her career at the pivotal era when Rock was edging out Tin Pan Alley. Since then she has written innumerable pop hits and has been able to create the kind of songs that transcend time. Weil's lyrics are among the most emotionally honest, insightful and direct ever penned. Few songwriters have had such a knack for capturing and interpreting the broad spectrum of human emotions - the ups and downs of relationships and life. Combining the clarity and narrative suited for her early ambition, writing for the Broadway theater, with her pop lyric talents, Weil developed a signature style all her own. Her ability to adapt to different genres has created not one but many songs that have become themes and anthems… "soundtracks" to our lives. 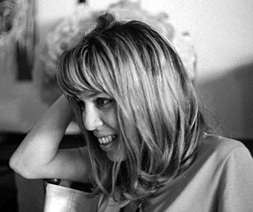 Weil began her career working at Frank Loesser's music publishing company and then moved to Don Kirshner's Aldon Music where she became part of the now legendary writing staff known as “The Brill Building writers”. It was a time when young songwriters dominated the pop charts and raised the bar for the American pop song. Among her colleagues were Carole King and Gerry Goffin, Neil Sedaka and Howie Greenfield, Jerry Leiber and Mike Stoller, Phil Spector and the man who would become her partner in life and music, Barry Mann. When Mann and Weil embarked on their remarkably successful personal and professional relationship a seemingly endless stream of hit songs followed: Uptown, On Broadway and Only In America (both written with Leiber and Stoller), We Gotta Get Out Of This Place, Blame It On The Bossa Nova, Kicks, Hungry, Walking In The Rain, He's Sure The Boy I Love, I Just Can't Help Believing, Soul And Inspiration, Rock And Roll Lullaby… and that was just the beginning. Unlike many of the golden hit makers of the sixties, Mann and Weil continued strong into the seventies, eighties and nineties.. Never dating themselves, they produced hits for almost every genre- from R&B to soul, country to rock and roll. They gave Dolly Parton her first crossover hit, the million selling Here You Come Again, which was also honored that year as Broadcast Music's "most played country song". In the eighties Mann and Weil helped launch the career of James Ingram with the sophisticated Just Once, reintroduced the world to the angelic voice of Aaron Neville with Don't Know Much and created the classic Somewhere Out There. Weil (collaborating with Tom Snow) provided the lyrics for The Pointer's Sisters infectious He's So Shy, the haunting Running With The Night (written with Lionel Richie) and the Grammy nominated Through The Fire (with David Foster). Weil started off the nineties with Vanessa Williams' Just For Tonight. Written with Keith Thomas the song won a Nashville Songwriters Association Award. Again with Mann she co-wrote I Will Come To You with and for teen sensation Hanson and with Tommy Lee James penned Martina McBride's #1 country song, Wrong Again. Film was another area of expertise for Weil. Collaborating with Mann and scorer, James Horner, she provided lyrics for the song score of the acclaimed animated film An American Tail. That song score included the double Grammy Award-winning, Oscar and Golden Globe nominated instant classic Somewhere Out There. The Mann and Weil team have also produced song scores for films as diverse as the cult classic Wild In The Streets and the children's classic Muppet Treasure Island as well as contributing songs to Christmas Vacation, and Balto among others. Weil was once again Grammy nominated for Whatever You Imagine from the film, The Pagemaster. 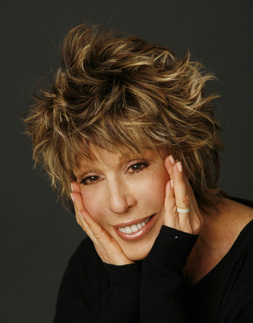 She also co-wrote songs for About Last Night, contributed lyrics for the "Seussian" Christmas carols in The Grinch and collaborated with John Williams on For Always, the theme song for A.I. which appeared on the soundtrack CD. In 2004 she again collaborated with Williams on a song for Harry Potter and The Prisoner of Azakaban and wrote Remember, with James Horner, for the motion picture Troy. Remember sung by Josh Groban was nominated for a World Soundtrack award for “Best Song Written Directly for a Film”. In addition to her Grammy awards, Weil has amassed 56 pop, country and R&B awards from Broadcast Music Inc., recognizing highest performance popularity on American television and radio and 60 Millionaire Awards signifying performances of a million or more plays. Cynthia Weil's You've Lost That Lovin' Feeling (written with Mann and Phil Spector) has the distinction of being the most played song of the twentieth century and the most performed song in the BMI catalogue.. It has garnered more than fourteen million plays, the first BMI song ever to achieve that milestone. If played back to back 24 hours a day this would equal more than sixty five years of continuous airplay. This rock and roll classic has also received 14 pop awards... another record achievement and The Rightous Brothers recording has been selected for inclusion in the Grammy Hall of Fame. Weil's countless other industry accolades include induction into the prestigious Songwriters Hall of Fame and the 2003 Heroes Award from the New York Chapter of NARAS. In 2010 she became only the third woman inducted into the Rock and Roll Hall of Fame in the non performing category. In 2011 Cynthia was awarded the prestigious Johnny Mercer Award by the Songwriters Hall of Fame. The Johnny Mercer Award is the highest honor bestowed by the organization to songwriters who have established a history of outstanding creative work. The hits are impressive, but Weil's accomplishments as a whole must be acknowledged to truly understand the magnitude and scope of her career. To look at her catalogue is an experience in itself and then to realize that her songs sound as good today as when they were written is truly awe inspiring. In 2006, another facet of Weil's talent was revealed when The Stranger Game, a thriller written by Cynthia and Judy Skelton, aired as Lifetime Television movie. In March of 2008, Mann and Weil's original pop rock musical based on the motion picture classic, Mask. Also directed by Richard Maltby, Jr. premiered at Pasadena Playhouse. Anna Hamilton Phelan, screenwriter of the film also penned the book for the theatrical version. "It's a treat to get Weil's take on [the] industry . . . So much of the author's own hard-earned experience sings out from the pages." "Meghan Trainor meets Nashville meets Mad Men . . . The recording business may be the beating heart of I'm Glad I Did, but it's the brave characters, sweet romance and window into the incredible civil rights changes going on in the 1960s that make this book sing." "An impressive YA debut . . . Showing both the bright and the dark sides if the music business, Weil crafts an enticing tale of a sheltered teenager's induction into a world where ambitions and morals are repeatedly tested." In May 2011, a children's board book entitled Rockin' Babies, co-written by Cynthia, published by Sterling Publishers was released. Believing every baby is the rock star of their family, the book playfully imagines the rock 'n roll lifestyle in a hip yet child friendly fashion. Rockin' Babies was the winner of the 2011 Purple Dragonfly Award in the board book category. 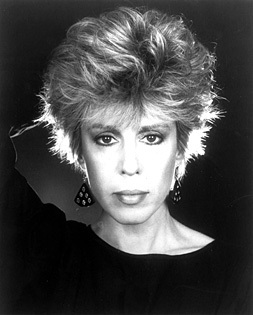 Cynthia Weil continues to write in different arenas, constantly challenging and exploring her creativity.